Can you bear for me to show you one more pair of clogs? 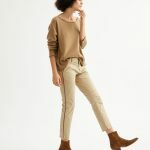 Because I like the sandy tone of these, and believe they would be very good for transitioning to fall. 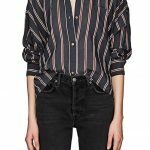 The subtle white-on-white stripes on this gauze shirt delight me. 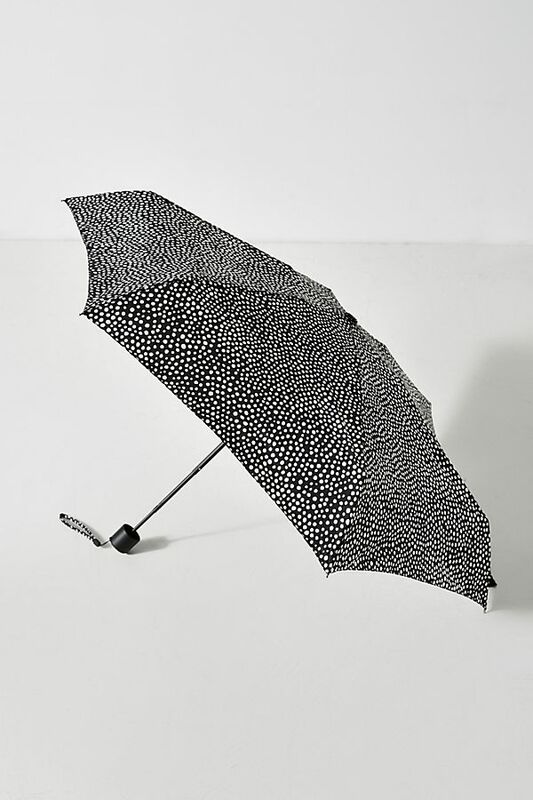 I bought this umbrella last week after it started raining at pretty much the precise moment I walked past the Marimekko store, and it cost more than I typically spend on such items, as I always lose them like everyone else. But it is so tiny that it fits in my jam-packed (and not huge) everyday bag, and the dot print is subtle enough not to look weird if you’re wearing another print. Back when I did a post on my summer beauty essentials, some of you rightly pointed out that I wasn’t wearing a lip color with any SPF, so I’m giving this No Lipstick Lipstick a shot, because it has an SPF of 15. It also gives lips a lovely and natural wash of color. 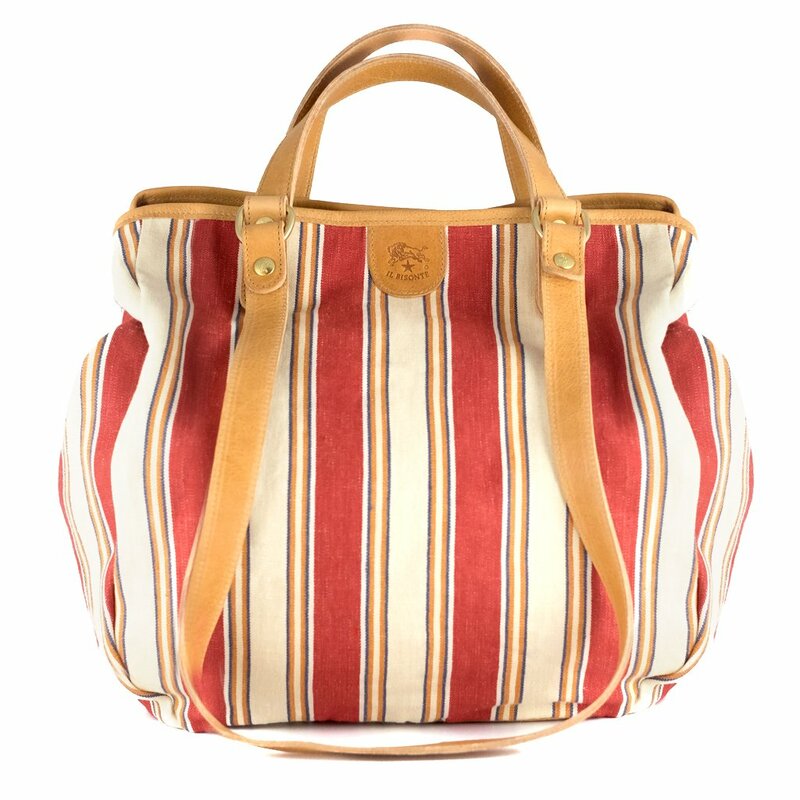 I need no more bags of any kind, but I am mad for this striped tote by Il Bisonte, and it’s currently marked down. As I mentioned a while back, I’ve been playing a bit of tennis lately, but my on-court style is seriously wanting. This skirt would go a long way towards changing that. I’m kind of tan at the moment—I don’t leave the house without sun protection, slavishly applied, but I end up getting darker anyway. Everywhere except my legs, that is: they are, for reasons I only sort of understand, as pasty-white in August as they are in January. 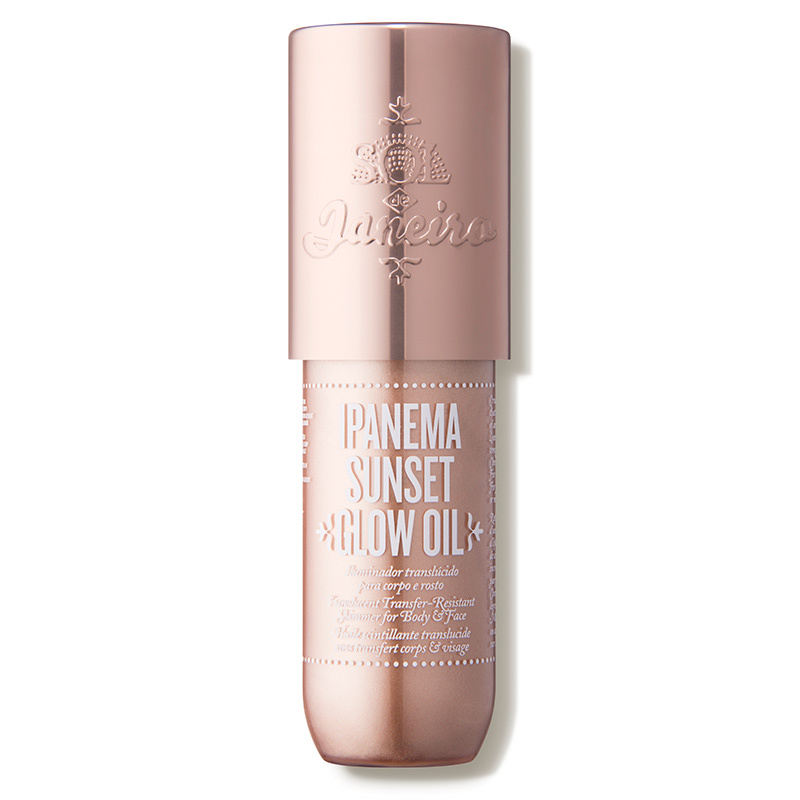 When I’ve flaked on self-tanner and I want to make my legs darker fast, I reach for this Glow Oil, which looks really natural on, and has just the tiniest amount of shimmer, which is about all the shimmer I can stand. Also it smells nice and rather miraculously doesn’t come off on your clothes or sheets. I’d love to see entire posts on two of these items–favorite lip balms (preferably with spf) and tennis outfits and accessories. I'd love to see entire posts on two of these items--favorite lip balms (preferably with spf) and tennis outfits and accessories. I’d be into favorite lip balms, as well. I realized I’m kind of addicted when I opened my huge medicine cabinet and realized that I have an entire lip balm section. I bought the No Lipstick Lipstick at the beginning of the summer also and its the only lip product I have worn since. The No Makeup Concealer in Medium has a peachy tone that nicely covers dark circles and has SPF 35. Any idea of the jeans’ origin? 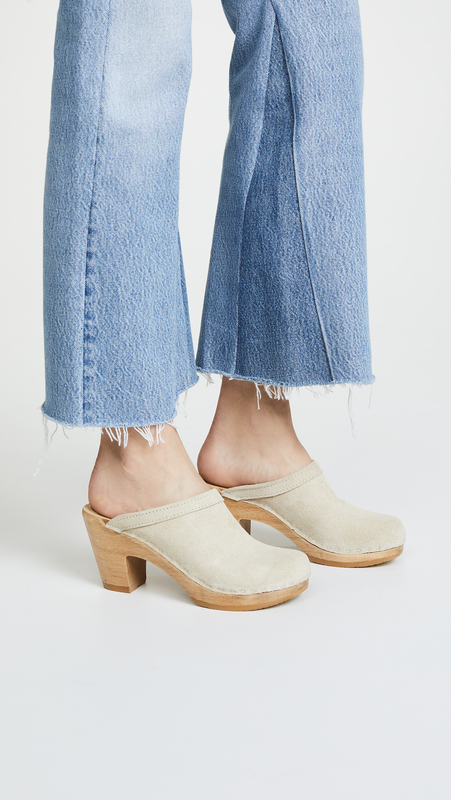 Clogs are cute, but jeans are great! I never tire of the clog posts, even though I don’t own any. I’d love to own a pair but can’t seem to find any in Canada to try on, even in my large city. I instantly liked the jeans too and the white Rails! I never tire of the clog posts, even though I don't own any. I'd love to own a pair but can't seem to find any in Canada to try on, even in my large city. I instantly liked the jeans too and the white Rails! BTW, Kim, those jeans look like what we did in the 70s…sewing flares on the outside, though, all self-crafted. Try Amazon.ca. BTW, Kim, those jeans look like what we did in the 70s...sewing flares on the outside, though, all self-crafted. 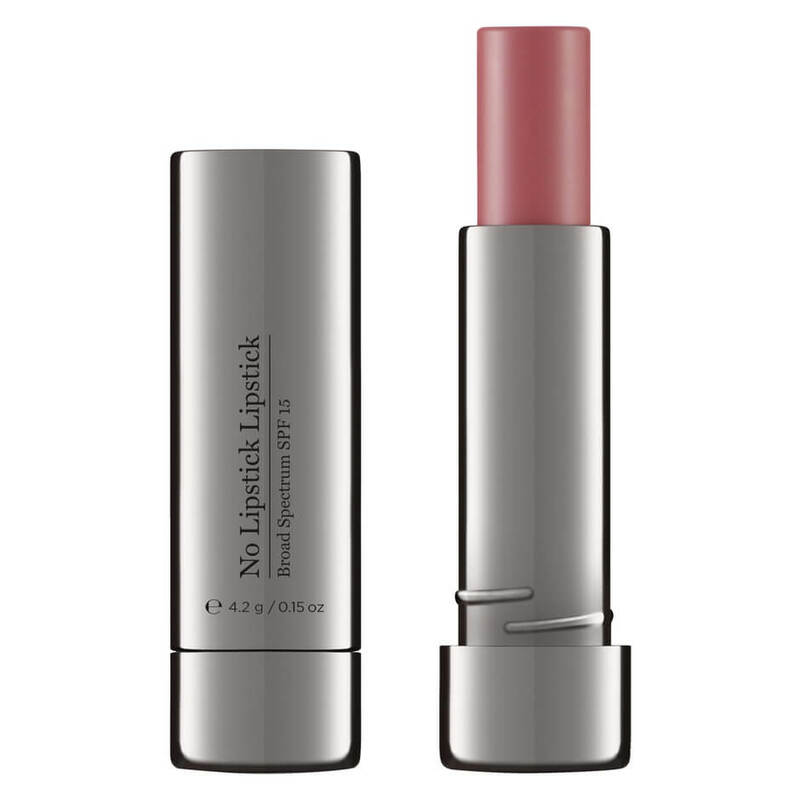 Have been using this excellent SPF lip tint this summer. The colors are gorgeous and really stays on even at the beach: https://www.suntegrityskincare.com/lip-c-p-r-spf-30-sunburst-pink/. And, clogs forever! These look perfect for August – October! My new favorite tinted lip conditioner, SPF is this one, in Bombora: https://follain.com/p/ilia-tinted-lip-conditioner-spf-15#818107020148 And, clogs forever! These look perfect for August - October!